Dr. Crystal Phillips is an Assistant Professor of Pharmacy Practice at the Appalachian College of Pharmacy in Oakwood, VA. She received her Doctor of Pharmacy degree from the Appalachian College of Pharmacy in 2011. 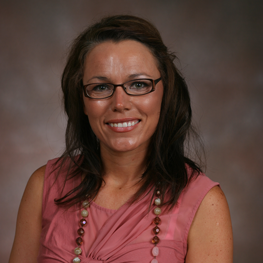 Dr. Phillips completed her PGY-1 residency with the Appalachian College of Pharmacy in July 2012. She holds a bachelor’s degree in Chemistry from Roanoke College in Salem, VA.
Dr. Phillips currently practices at the Program of All-Inclusive Care for the Elderly in Big Stone Gap, VA where she treats patients with chronic disease states such as diabetes, COPD, asthma, hypertension and lipid disorders. She has a passion for serving the underserved people of rural regions. Her professional interests include preventative healthcare, medication therapy management, and chronic disease state management. Dr. Phillips is an active member of the American Pharmacists Association (APhA) and Virginia Pharmacists Association. In her free time, Dr. Phillips enjoys spending time with her family, being involved in church activities and outdoor activities such as running, hiking, mountain biking, hunting and fishing. She is a life-long resident of Southwestern Virginia and currently resides in Wise County, VA.